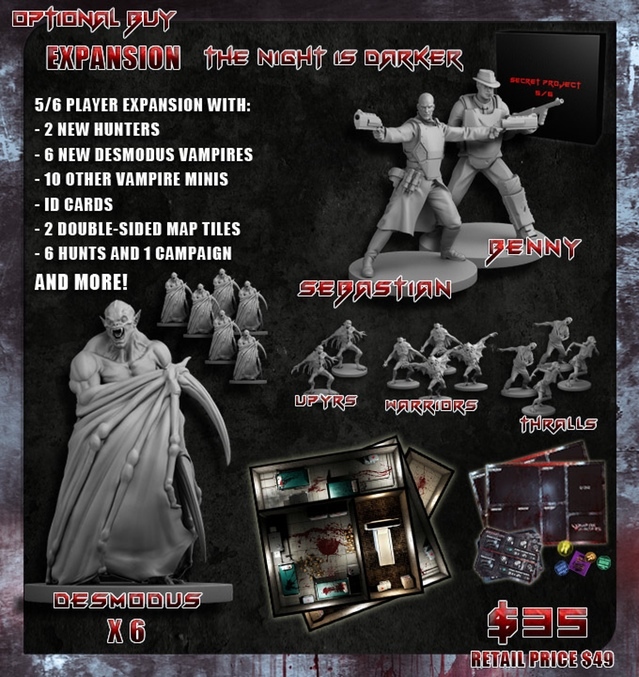 The folks over at Dark Gate Games have been chugging along with their Vampire Hunters Kickstarter campaign. It's certainly been a successful relaunch of the campaign. 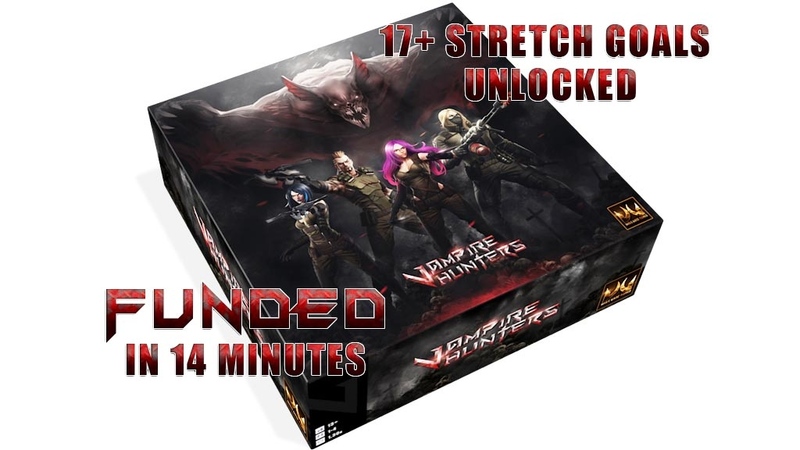 The funded in 14 minutes and have made it through more than 17 stretch goals. With 6 days left, there's still plenty to go through, though. To help get there, and in order to bring more friends to your gaming table, they've released the 5-6 Player Expansion Add-On. Though this isn't just some extra dice. The expansion adds quite a lot to the game. There's two new Hunters to take on the forces that go bump in the night. There's also plenty of said forces to keep all of you busy. There's also new map tiles with all-new images. To go along with them all, there's also 6 hunts and 1 new campaign. There's still 6 days to get in on the action. Get there before the sun sets on this Kickstarter.